Director/ Artist Steve Wood brings extensive knowledge and experience to each project, from assembling the creative TEAM, organizing a group DESIGN and REVIEW PROCESS, coordinating with the HOST organization, and carrying the project from CONCEPT through to COMPLETION. 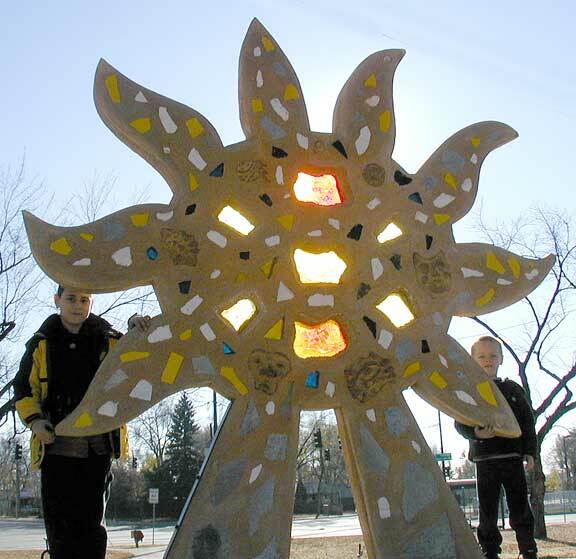 Our Associates are tremendous people, creative thinkers and inventive thinkers with congenial personalities, who love collaborating on public art projects. 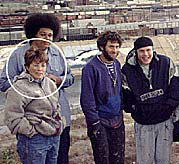 Anthony Trujillo ­ Assistant to the director. 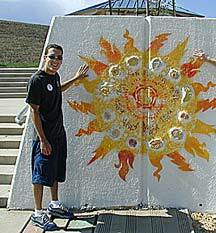 Anthony and Steve have worked together on projects since 1997, when Anthony was a student on a mural project. Laurie Wood ­ A teacher with 23 years experience, Laurie moonlights as our Office Manager. She worked at the Guggenheim Foundation fresh out of Cornell, and does our grant writing. Tina and Ken Riesterer ­ A regionally-known artist team, specializing in oils and ceramics. They make art, and help kids and adults do it too. Kate Hodges ­ Our far flung Vermont/Tuscon associate, Kate has traveled the world making art, environmental sculpture, and working with kids. Kate has an MFA from the University of Arizona. 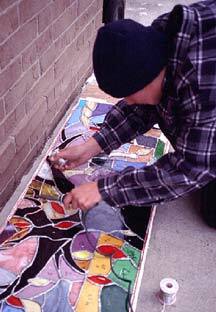 Mario Miguel Echevarria - A well-known painter and public artist from Longmont, Mario works extensively on early-integration projects. He brings his trademark imagination and humor to his public artworks. Patricia Musick ­ Past president of the Pikes Peak Art Commission, Pat is known for her synchronistic explorations of humans and nature, her vibrant copper enamelling, and her many lovely public artworks. Booked years in advance, we can sometimes still schedule her in! Patrick Lindley -- 38 years of metal-working experience, with a full service shop. Pat does a lot of our more imaginative welding and fabrication work. Glenn Gintz ­ Glenn is a builder, who uses environmentally friendly materials and techniques. 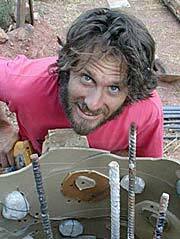 With a dozen earthships under his belt, he works with tires and straw, and is also our fountain specialist. Kim Gravestock ­ Landscaping, Xeriscaping, and anything to do with plants. A Master Gardener, Kim and crew planted and maintain the gardens at the historic Manitou Cliff House. Robert Morlan ­ A talented artist who owns and operates Manitou Springs Fine Art Castings. Robbie has poured molten metals for over 18 years. Chris Smith ­ Based in New Hampshire, Smitty has 20 years of concrete experience, and does anything related to pouring, forming, or casting MUD. Consults, and runs the occasional very cool project for us. 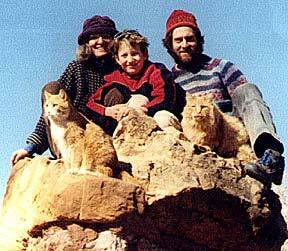 William McCormick ­ Civil Engineer and mountaineer based in Colorado Springs. Bill is a longtime consultant and engineering dreamweaver. 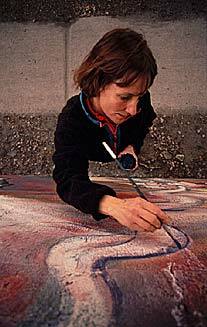 Cynthia Ramu ­ Director of the Pueblo Levee Mural Project, and art teacher. At 5'4", her height is inversely proportional to her passion for ART. 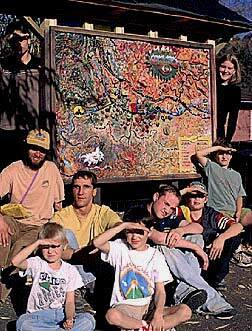 100's of kids and volunteers who have helped create permanent public art throughout Colorado and adjoining Western states. and in the process have learned a lot, contributed to their community and had some fun! A Public Art Associates apprenticeship program offers good exposure to the student who is considering an art career, or to the emerging public artist. A balance of hands-on skills and theoretical knowledge are imparted to the apprentice. Students age 16 and up with reliable transportation, who want to work and learn, are encouraged to apply! Apprentices who successfully complete a public art program with us, and want to continue working, will be eligible for a work stipend.